Above photo: “School of Rock” with original London cast Tristam Kenton. The fall season means a full schedule of kid-friendly entertainment and hands-on activities. Start planning now to make the most of the busy months ahead. We have you covered from September through November with exciting stage performances, innovative museum happenings, spooky Halloween events, and lots of festival fun. Grab your calendar and jump right in. And don’t forget our daily events calendar, right on our home page! Or get September can’t-miss highlights at NEXTPittsburgh. Disney on Ice presents ‘Frozen’ with Anna, Elsa and the gang. Sept. 16-Oct. 1: “Cinderella,” Gemini Children’s Theater, McKees Rocks, presents a musical adaptation of Charles Perrault’s “The Little Glass Slipper” in a lively interactive performance. Sept. 22: “iLuminate,” Byham Theater, Downtown. Extraordinary lighting effects combined with remarkable dance moves and high-energy music create an unforgettable performance by these “America’s Got Talent” finalists. Sept. 22-24: “Disney’s Beauty and the Beast,” Palace Theatre, Greensburg. Based on the Academy Award-winning animated feature, Stage Right presents the story of Belle and the Beast, a prince trapped under the spell of an enchantress. Sept. 24: “Shopkins Live! Shop It Up!” Byham Theater, Downtown. The fashionista Shoppies make their theatrical debut in a live show featuring musical performances by Jessicake, Bubbleisha, Peppa-Mint, and Rainbow Kate, joined by the Shopkins. An ensemble cast brings the show to life through urban-style music, song, and dance. Oct. 17: Flip Fabrique in “Catch Me!” Byham Theater, Downtown. This troupe of six acrobats from Quebec performs an innovative circus show of stunning and lively acrobatics, incorporating everything from folding chairs and hula hoops to a trampoline wall. Oct. 17-22: “School of Rock: The Musical,” Benedum Center, Downtown. Based on the hit film, this PNC Broadway in Pittsburgh musical follows Dewey Finn, a wannabe rock star posing as a substitute teacher, who turns a class of straight-A students into a mind-blowing rock band. Oct. 22: “Peppa Pig Live! Peppa Pig’s Surprise,” Byham Theater, Downtown. Peppa Pig is back with an action-packed live show featuring favorite characters as life-size puppets. Expect an adventure filled with songs, dancing, and games. Oct. 26-29: “Disney’s Beauty and the Beast,” Byham Theater, Downtown. Pittsburgh Musical Theater presents the classic story. Oct. 27-29: “Dracula,” Benedum Center, Downtown. Pittsburgh Ballet Theatre takes a walk on the dark side with a return to Bram Stoker’s 1897 gothic novel about vampire Count Dracula. The ballet company performs in a 19th-century Transylvanian setting that includes levitation, flying, and pyrotechnics. Nov. 2-5: Disney on Ice presents “Frozen,” PPG Paints Arena, Uptown. Will kids be able to resist singing along to “Let It Go”? 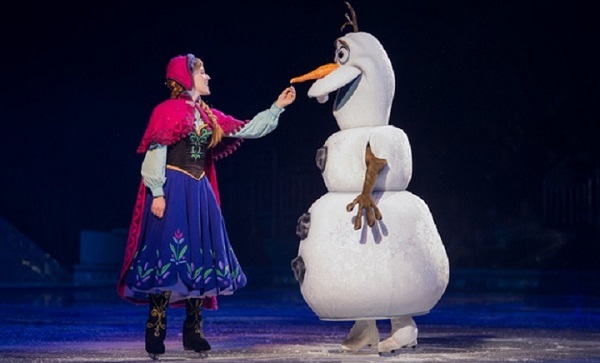 You’ll find out as the story of Anna and her sister, Queen Elsa, perform in ice with special effects, music, and “Frozen” friends Olaf, Kristoff, and Sven. Hosted by Mickey Mouse and Minnie Mouse. Nov. 3: “KIDZ BOP,” Palace Theatre, Greensburg. This live concert, part of KIDZ BOP’s “Best Time Ever” tour, features today’s biggest hits, sung by kids for kids. Nov. 4: “4 x 4: Ephemeral Architectures,” Byham Theater, Downtown. Four jugglers and four ballet dancers share a stage on an ephemeral journey through time and space. Nov. 13-14: “PJ Masks Live,” Byham Theater, Downtown. This new live show features the heroic trio from the series. Catboy, Owlette, and Gekko try to save the day from sneaky villains Romeo, Night Ninja and Luna Girl. Nov. 12-19: Trash Test Dummies, Byham Theater, Downtown. Circus performers share their playful imaginations with a fresh look at the humble trash can. As part of Citizens Bank Children’s Theater Series, performances will take place at Byham Theater, Greensburg Salem High School, Marshall Middle School, Cornell High School, Mt. Lebanon High School and Seneca Valley High School. Nov. 17-19: “Annie,” Palace Theatre, Greensburg. Stage Right produces the Broadway musical based on Harold Gray’s comic strip character, Little Orphan Annie. Nov. 24: Beatrix Potter’s Christmas “The Tailor of Gloucester,” The Palace Theatre, Greensburg. When a silly mayor orders a cherry-colored coat for his Christmas wedding, the poor Tailor of Gloucester gets help on Christmas Eve from Simpkin the cat and the house mice. Nov. 25-Dec. 17: “Sleeping Beauty Holiday,” Gemini Children’s Theater, McKees Rocks. A magical holiday adventure with Sleeping Beauty and all her friends in an interactive production. Girls will experience the fun and fascination of STEM projects at Girls Rock Science Weekend at Carnegie Science Center. Sept. 2-Dec. 16: ARTLab, Mattress Factory, North Side. This hands-on, drop-in, interactive program for of all ages is held the first and third Saturday of every month. Kids can explore, play and experiment with projects. Sept. 9: Let’s Move! Family Fun Day, The Frick, Point Breeze. This lively day of free outdoor fun takes place on Clayton’s lawn and surroundings. Try a wacky obstacle course and walk the trails of the Frick with adventure bingo. Make time for family-friendly yoga and a tour of Clayton, the historic Frick family home. Sept. 9: Pittsburgh Sketch Crawl, Downtown. Families can participate in a free 4-hour drawing marathon. Bring a sketch book, art supplies, lunch, and a chair. Draw what you see on a journey through some of Downtown’s scenic plazas. Rick Antolic, artist and illustrator, will be on-hand to assist. Sept. 9-Dec. 9: Mini-Factory, Mattress Factory, North Side. Mini-Factory, held the second and fourth Saturday of every month, is designed for kids ages 3-5 and their caregivers. Focused on a variety of themes and installations, participants enjoy story time and work on a collaborative, hands-on project. Sept. 10: Grandparents Day, Carnegie Museum of Natural History, Oakland. Explore the galleries and make memories with your grandchildren. Learn about family trees, play Inuit games, make traditional pottery, or write about your family in ancient Egyptian hieroglyphs. Take part in crafts that may be familiar traditions in your own family. “Willy Wonka” and “The Princess Diaries” will be shown in the Earth Theater, and a special Live Animal Encounter will focus on animal families. Sept. 13: Hop into History: Uncovering Pittsburgh Stories, Heinz History Center. Kids will delve into an exploration of the past through a hands-on session for ages 2-5 years. They’ll be transported back in time via pictures, music, dance, and games. Sept. 13-Dec. 6: “Install: Afternoons @ the Factory,” Mattress Factory, North Side. This Wednesday after-school program is for kids in grades 3-5. “A World for My Neighbors and Me” with Maya Zane Kaisth was inspired by Fred Rogers. Kids will get to know their North Side neighbors and use what they learn to make a zine. Sept. 14 opening: “Tough Art,” Children’s Museum of Pittsburgh, North Side. It’s one thing for an artist to create and exhibit. It’s quite another for the exhibit to survive an energetic, hands-on environment. The 2017 “Tough Art” team presents a coral reef, giant nest, “Nimbus Drum,” and digital art inspired by an Etch-A-Sketch. Sept. 22: Out of Sight Teen Night, The Andy Warhol Museum, North Shore. Girls Write Pittsburgh and Girls Rock PGH will present a night of music, art and fashion coinciding with “Out of Sight,” an interactive installation by artist Lawrence Weiner. Sept. 23-24: Girls Rock Science Weekend, Carnegie Science Center, North Shore. With hands-on science activities, project displays from participants in the Science Center’s STEM contests, and a STEM Chat with professionals in the field, this weekend-long event is designed to get girls excited about science and technology. Oct. 11: Hop Into History: Pittsburgh Firsts, Heinz History Center, Strip District. Pittsburgh is home to many firsts, from the Ferris wheel to the banana split. 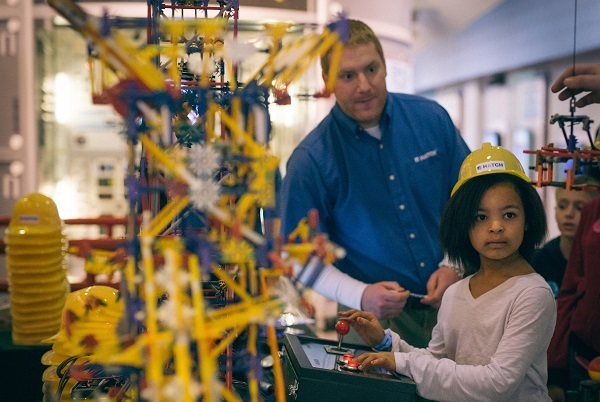 Explore Pittsburgh “firsts” through hands-on activities in the galleries. Designed for ages 2-5 years. Oct. 14: Jammie Jam, Carnegie Science Center, North Shore. Mini scientists, age 2-6 years, will enjoy an evening of themed activities, including make-and-take projects, a live theater show, story time, plus the four floors of exhibits. Pajamas are the suggested attire. Oct. 27-28: ChemFest, Carnegie Science Center. To celebrate the 30th Anniversary of National Chemistry Week, the Science Center invites students to consider a future in the field of chemistry. The event explores the reasons why chemistry “matters” through interactive demonstrations, hands-on activities, and presentations. Nov. 8: Hop Into History: Heinz’s Kitchen, Heinz History Center, Strip District. Join museum educators in the kitchen to make recipes inspired by Heinz food. Designed for ages 2-5 years. Nov. 11: Second Saturday Studios at the Frick, The Frick Art & Historical Center, Point Breeze. Families with kids of all ages are invited to explore different and unusual materials or find new ways to use paper, paint, and pencils at this free program. Kids can create paper dolls and clothes to go with them. Nov. 24: Mattress Factory Family Day, North Side. Features a DJ, a hot chocolate bar, art projects, and gallery time. The annual Highland Games offers a plaid-centric ethnic experience. Sept 8-10: Pittsburgh Irish Festival, Riverplex, Sandcastle, Homestead. “Celebrating Pittsburgh’s Irish Roots” is the theme of this year’s festival, featuring international, national and local Irish music, dance and entertainment on four stages, an Irish marketplace, children’s area with Irish arts, crafts, and games. Sept. 9, 10, 16, 17: Fall of the Leaf Weekends, Idlewild Park, Ligonier. Usher in autumn’s splendor during two weekends filled with food, special character meet and greets, crafts and fun. Sept. 10 and Oct. 8: Kids’ Day in Schenley Plaza, Oakland. Free activities for children under the tent including face painting, a balloon artist, lawn games, special guests and performers, free rides on the PNC Carousel, and an opportunity to experience Uber’s self-driving car. Sept. 10: Grandparents Day, Pittsburgh Zoo & PPG Aquarium, Highland Park. Grandparents receive free admission when accompanied by their grandkids. Sept. 16: Tropical Forest Congo Festival, Phipps Conservatory & Botanical Gardens. Take a trip to the tropics for a day of exotic celebrations. Kids can pot their own plants, enjoy delectable snacks, learn about Congolese flowers, and be inspired by one of the world’s most botanically and culturally rich rainforests. Sept. 16-17: Covered Bridge Festival. Ten festival sites in Washington and Greene counties offer an array of activities, including arts and crafts, home-style food, historical reenactments, demonstrations, children’s activities, and live entertainment in this 47th annual event. Sept. 22-Oct. 15: RADical Days, various locations. 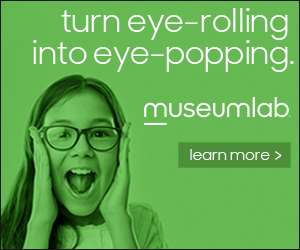 Free admission offered to museums, performances, and sports attractions funded by RAD. Watch for the Kidsburgh guide to RADical Days coming up. Sept. 23-Oct. 29: Fall Festival, Triple B Farms, Monongahela. Take a hayride to the pumpkin patch, wander the corn maze, meet the farm animals, and explore the storybook pumpkin land during festival weekends. Sept. 23: Ligonier Highland Games, Idlewild Park, Ligonier. 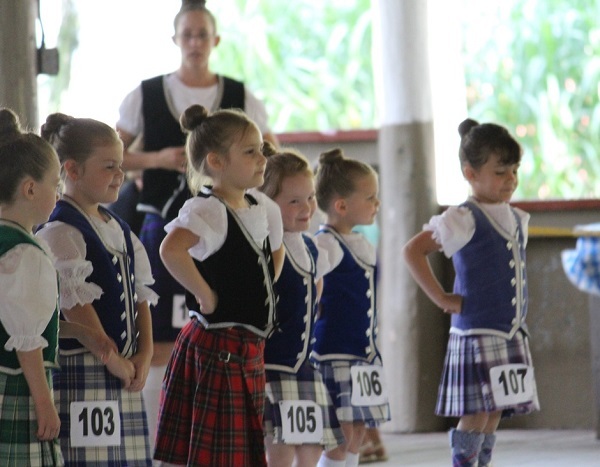 A Scottish family celebration with piping, drumming and Highland dancing competitions, heavy athletics contests, children’s games, and entertainment. Sept. 24: Pittsburgh Pierogi Festival, Kennywood Park, West Mifflin. Over 40 vendors will offer pierogies and pierogi-inspired dishes. Family activities include seven Kennywood classic amusement rides and musical entertainment. Oct. 7 and 8: Butler County Farm Tour. Kids love this free self-driving tour of working farms, including one that raises alpacas and an equestrian center. Stops include special activities and educational opportunities at farms, as well as a glass blowing center, distillery, and a milling facility. Oct. 14: Pumpkinfest, Allegheny Commons Park, North Side. Activities include hay rides, games, pumpkin decorating and more. Rain date is Oct. 15. Oct. 14-15: Maker Faire Pittsburgh 2017, Children’s Museum of Pittsburgh, North Side. 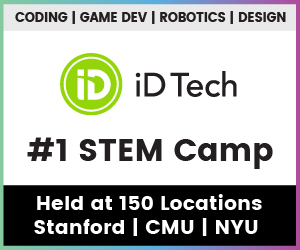 Exhibits and displays range from student projects, vintage computers and game systems, chemistry projects, puppets, kites, and textile arts and crafts to robotics, 3D printers and CNC mills, rockets and R/C toys, green tech, electric vehicles, and biotech. Little kids can enjoy Halloween events like the ZooBoo without fear. Sept. 15-Nov. 4: ScareHouse, Etna. A team of Pittsburgh artists and builders work year-round to create one of America’s scariest haunted house attractions. ScareHouse is not recommended for children under 13 and no one under 7 admitted. Sept. 29-Oct. 29: Phantom Fright Nights, Kennywood Park, West Mifflin. Haunts, rides, and attractions with a Halloween theme, including the new “Friday the 13th” 4-D theater experience. Not recommended for kids under 13. Oct. 1-30: Laser Halloween Show, Carnegie Science Center, North Shore. Spooky lasers, eerie darkness, ghoulish tunes, and frightful guests. Get into the Halloween spirit with the Addams Family, the Ghostbusters, and Beetlejuice. Do the Monster Mash, the Time Warp, or your own ghastly dance. Oct. 7-29: Hallowboo, Idlewild Park, Ligonier. This family-oriented, happy Halloween twist features specially themed rides and attractions, trick-or-treating through Story Book Forest, live entertainment, costume characters, and hay bale maze in scare-free weekends. Oct. 7-29: Happy Hauntings, Kennywood Park, West Mifflin. Kennywood Park’s new kid-friendly weekend Halloween event geared for kids under age 10 will feature hay rides, a maze, dance parties with Kenny Kangaroo and pumpkin decorating. Kiddieland attractions and Olde Kennywood Railroad will be themed for the event. Oct. 14: Ghost Stories, Pittsburgh Cultural Trust Arts Education Center, Downtown. Hear storyteller Alison K. Babusci share her most popular program for all ages featuring spine-tingling tales as well as hauntingly funny ones. Oct. 20: Halloween Bash Sleepover, Carnegie Science Center, North Shore. A deliciously gross, ghastly good time includes themed activities, a planetarium or laser show, live theater show, sleeping among the exhibits, late-night snack, and continental breakfast. Oct. 21, 22, 28, 29: ZooBoo, Pittsburgh Zoo & PPG Aquarium, Highland Park. 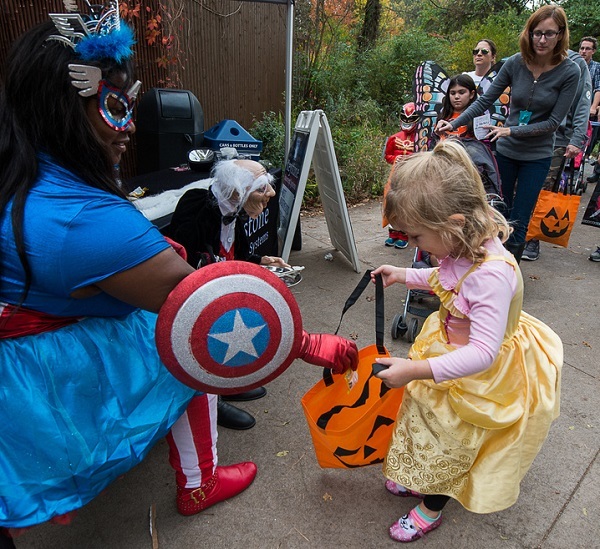 Trick-or-Treat throughout the Zoo at this daytime family favorite event. Enjoy two not-so-spooky haunted houses, a costume competition, creepy crafts, and hay maze. Oct. 27: Halloween Happenings, Phipps Conservatory & Botanical Gardens, Oakland. Ghosts and goblins of all ages can come in costume for a day of festive activities. Kids can sink their teeth into healthy and delicious snacks, delight at wickedly carved pumpkins, and pot their very own creepy plants. Oct. 28: Super Science Saturday: Boo-seum Trick or Treat, Carnegie Museum of Natural History, Oakland. Meet live animals, examine amazing specimens and participate in fun, hands-on activities. Trick-or-treat around dinosaurs and mummies at stations throughout the museum, and wear a costume to receive a small prize. Oct. 28: Halloween Special Event, Gemini Children’s Theater, McKees Rocks. Fun, interactive, musical entertainment. Oct. 21: Night Walk on the Panhandle Trail, Collier Township. Jack o’ lanterns will be set up along a half-mile stretch of the trail for this free Halloween tradition. Bonfires light the night while guests sip hot chocolate and cider. Kids will hear stories near the Quarry bonfire and receive treat bags. Kennywood Park will be decorated for the Christmas season during its Holiday Lights extravaganza. Nov. 17: Downtown Pittsburgh Light-Up Night 2017. This free annual outdoor event kicks off the holiday season with musical entertainment, activities, food, and fireworks. Nov. 17: Light-Up Night Sleepover, Carnegie Science Center, North Shore. Kids can start their holiday season with a bang with a science-y twist on this special night in Pittsburgh. Nov. 18: Poinsettias and Pointe Shoes, Phipps Conservatory & Botanical Gardens, Schenley Park, Oakland. This seasonal treat from Pittsburgh Ballet Theatre features live vignettes from “The Nutcracker,” performed by dancers from PBT School. After the performance, visit with the dancers in a meet-and-greet and photo opp. Nov. 24-Dec. 23: Holiday Lights, Kennywood Park, West Mifflin. 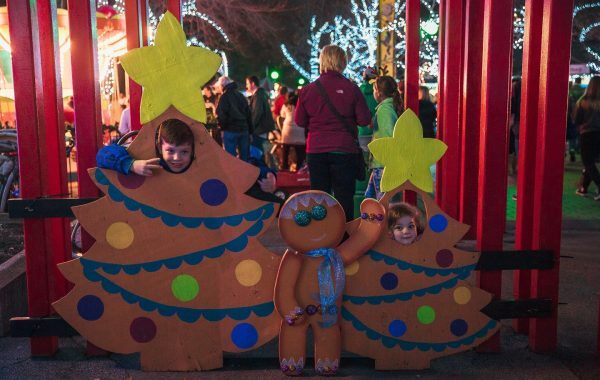 Tour Kennywood in its holiday splendor with performances by local choirs, Santa Claus, Gingerbread Express train, and light show themed to holiday music. On select evenings, optional dinner with Santa is available. Nov. 24-Dec. 17: Santa Trolley, Pennsylvania Trolley Museum, Chartiers Township. Celebrate the season on the trolley with Santa, sing along with Christmas caroling, make a craft in the Events Room and interact with the Lionel Trains in the Visitor Center. Nov. 24-Feb. 25: Garden Railroad, Phipps Conservatory, Oakland. Hoist your sails and prepare for a high-seas adventure. Search for treasure, learn pirate jokes and interact with miniature trains as they chug through a dense tropical island filled with tiny plants and whimsical pirate props. Nov. 25-Jan. 8: Winter Flower Show and Light Garden, Phipps Conservatory, Oakland. Stroll through light displays illuminating indoor and outdoor spaces, enjoy whimsical topiary exhibits of merry reindeer on ice skates, and friendly bears gathered around the hearth. Be sure to stop for a chat with Santa. Candy Williams is a freelance writer and journalist whose articles have appeared in national and local publications. She lives in the South Hills.